Isn’t it nice to flood your closet with nice clothes and fashion accessories? Surely, in some way or another, you want this. Having a healthy lifestyle together with good fashion statement is what everyone wishes. However, it might not always be feasible because of budget issues. 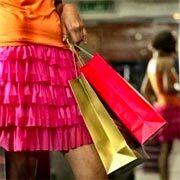 But worry no more; here are some tips that can get you the clothes you want and stay fashionable without spending much. It’s best that you take care of the clothes and shoes you have now so that you can use them for a longer period of time. Hand-wash your favorite clothes if possible and dry clean which needed dry cleaning. Just a bit of a fashion tip, though used clothes might be considered out of fashion, you can mix them up with other accessories such as belt and necklaces to create a whole new style. This might not be a positive to everyone, but who knows? If you ask your friend or your sister for a dress that you want, she might give it to you. Not that you’re being stingy, rather, it’s giving it a try. It won’t be bad if you ask for it nicely and in the right situation. Asking could also be applied in asking discounts from your favorite stores. This might work for some, especially if you are a regular customer of the store. You might have a gift card there given by someone close to you. Don’t let that card go to waste! Use it as much as possible. If you can’t use it, trade it with other gift card holders on sites like cardavenue.com. Do not give in to impulsive shopping. Yes, you might really like the dress you saw on the department store that is way too much for your budget. Learn to control yourself or else, you might get in trouble. If you can’t do this, stay away for some time from fashion stores or you can just leave your credit cards at home. It always pays to smile and greet the people around you, especially the salesgirl. Befriend the girls at the counter and at the stalls. You don’t have to get their e-mail addresses or phone numbers. Just make an effort to talk to them and be jolly when you meet them. Who knows? They might give you tips on when the store would have a sale or when the prices go down. Some of the opportunities that could really save us from spending much while shopping are buy-one-take-one or buy-two-get-one-free promos. This does not mean that whenever you see a sale like this, you would stop and buy them immediately. Rather, share this opportunity with a friend and when you both decided that you like it, buy it together. This way, you got what you wanted, made your friend happy and both of you saved money. Be sharp in getting information about the stores which are going on a sale. Before purchasing a product, think first. If you don’t need it immediately, ask if that product would be on sale soon. If yes, then just be patient and wait until the price goes down. These are just some of the tips that can save your money while unleashing the fashionista in you. Of course, it may not be applicable in every situation, but still, take some time to give these tips a try. Be a budget fashionista. You have a nice tips for us fashionistas wannabe.Creativity is what it takes to be a fashionista. Great post! This is a good tips while celebrating fashion week. The Budget fashion most describe in fashionable while responding their Budget theme. Next story Health Threats Are Everywhere, Be Wise!